My name is Fernanda Mansfield and I am thrilled to start my teaching career as the 3rd grade ELA-S teacher at Garden Place. I graduated from Hasting College with a degree in Elementary Education in 2012 and have being working in the school systems since. As a proud DPS alumni, I'm excited to work alongside our parents to serve our students and help them in the same way my teachers helped me believe in myself and succeed academically. 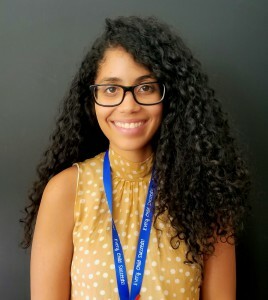 I was born and raised in Brazil, so as a teacher of color, I wish to be a role model to our students and spark a love for learning and to inspire them to reach higher each day. When I'm not teaching, I enjoy reading, cooking and spending time with my family and friends, especially my husband and 2 year old son.